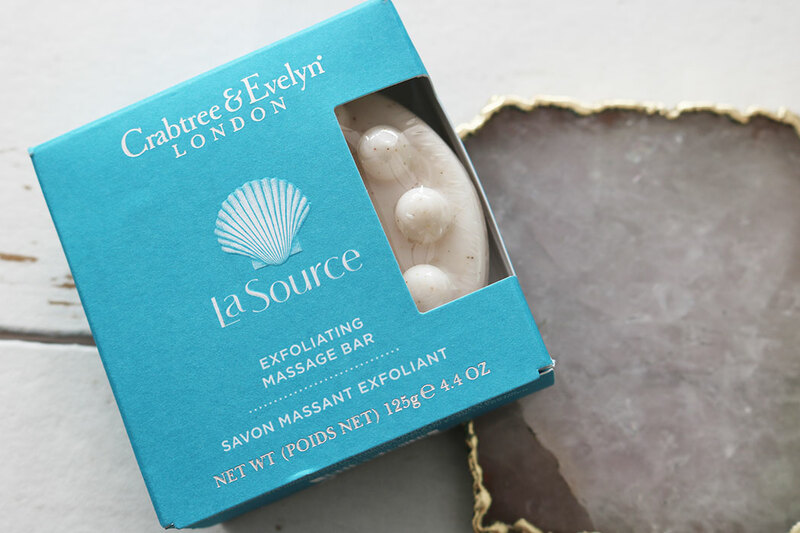 Nurture your skin and soothe your senses with the newly reformulated La Source collection from Crabtree & Evelyn, now featuring two new products and a wealth of powerful marine ingredients. 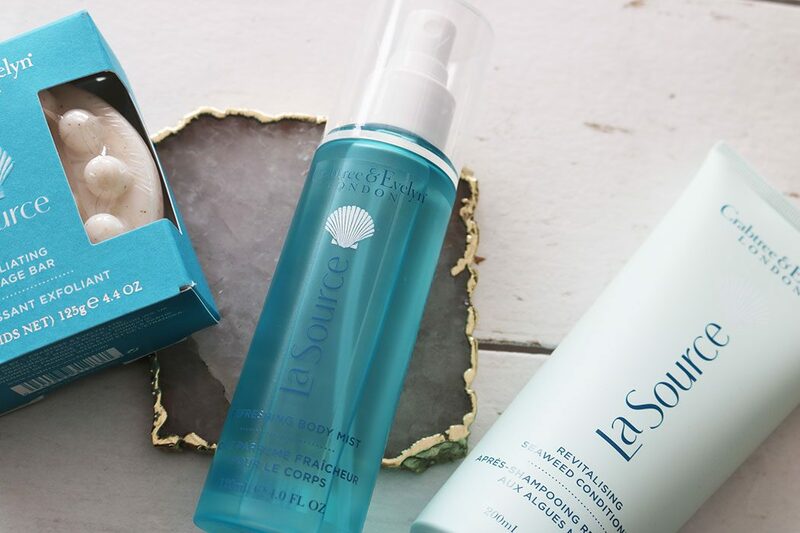 Inspired by the restorative power of the sea, our La Source collection contains a wealth of marine goodness for your skin, hair and body. Within the range there are four Marine Blends, each containing a new hero ingredient Green Seaweed Extract combined with a specific Marine-Based ingredient to boost skin benefits. Cultivated by the sea and captured by Crabtree & Evelyn, our rich mar ine ingredients are known to help restore suppleness and vitality. Four richly restorative marine blends and our new hero ingredient, antioxidant-rich Green Seaweed extract, imbue the skin with powerful, nourishing marine goodness. Exfoliating Massage Bar £8 – this is easily one of the best products from the collection. It is affordable, handy and would be perfect for keeping your skin perfectly exfoliated and summer ready. 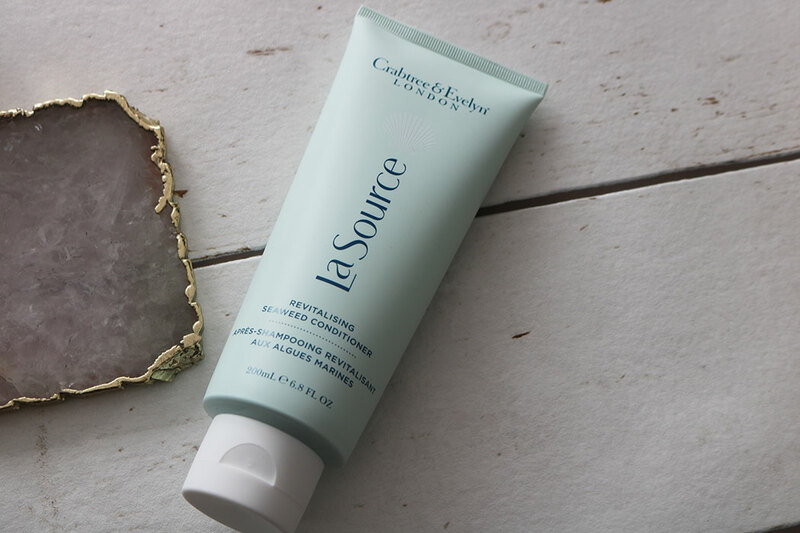 The whole La Source range from Crabtree & Evelyn is very refreshingly scented so this would be fab to use during the warmer months to refresh your skin and senses. Revitalising Seaweed Conditioner 200ml / £15 500ml £25 – This conditioner is wonderfully kind to the hair and leaves it silky smooth with its ingredients of Green seaweed extract and nourishing blue sea kale. This super lightweight formula is perfect for light and tangle free styling. Refreshing Body Mist 120ml / £15 – The scent of this product is actually quite masculine. Infused with fresh essences of peppermint this is handy for popping into your bag on warm and lazy beach days or when you think you’ll need a refreshing spritz. This is also perfect to mist over heavy and tired legs. Heavenly! Previous articleTesting The Estee Lauder Face Mask | Is It Worth The Hype?